Classic with a twist! These simple, lightweight wood post earrings are the perfect accent to any outfit. Pretty shimmery pearl is a versatile everyday choice. 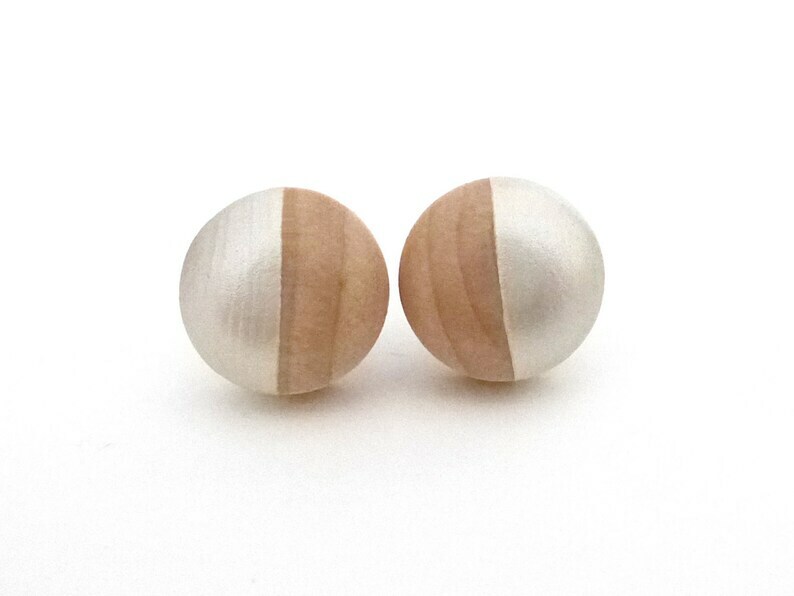 This style is a 1/2" (13mm) wood domed shape, securely fastened to surgical stainless steel posts and backs. Your earrings will come on a Paragraph Loop card inside a kraft gift box with washi tape, perfect for giving or receiving! Wife loves these and they look amazing. Will buy more.